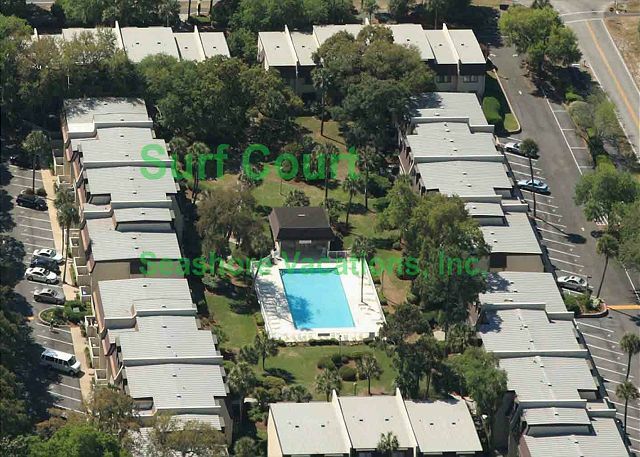 Surf Court 15 is a large spacious townhouse with a second floor entry. 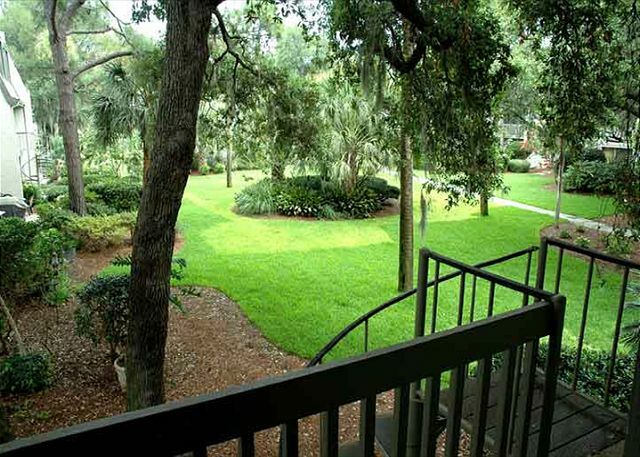 This property is is 1 block to the Atlantic Ocean and 1.5 blocks to Van Der Meer tennis center. For weekly rentals 1 hour of tennis is included in your rental. A spiral staircase leads you from the back porch to the beautifully landscaped courtyard and pool area. Surf Court 15 has 3 TV's, 1 for each bedroom and the living room. High-speed internet is provided in this condo. 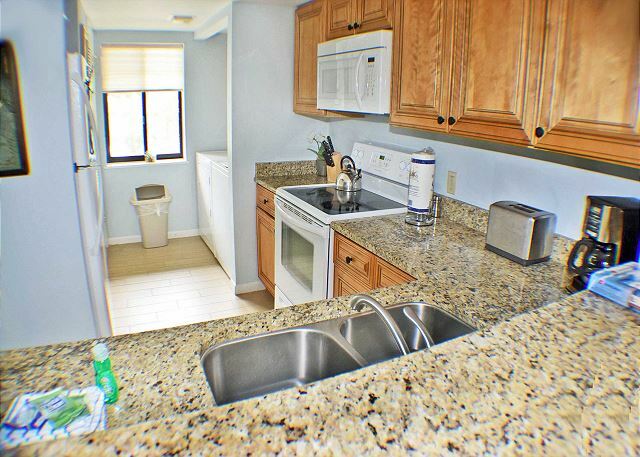 This condo has been newly remodeled with granite counters, new kitchen, beautiful tile from the entrance to the patio. Surf Court 15 is stunning and has all the comforts of home. There is a King in the master bedroom, 2 double beds in the second bedroom as well as a sleeper sofa in the living room. This is our second year for a 2 month stay at Surf Court 15. We love the location and the space this Unit offers. Seashore vacations staff always respond quickly to all calls, inquiries etc. Very professional and helpful! Clean, tidy and well equipped. First - the staff at Seashore Vacations is fantastic. I highly recommend you use them for your rental. Second - Surf Court is a great property. It's literally right across the street from the ocean but you pay a lot less for your stay. And beach access is convenient and only steps away. 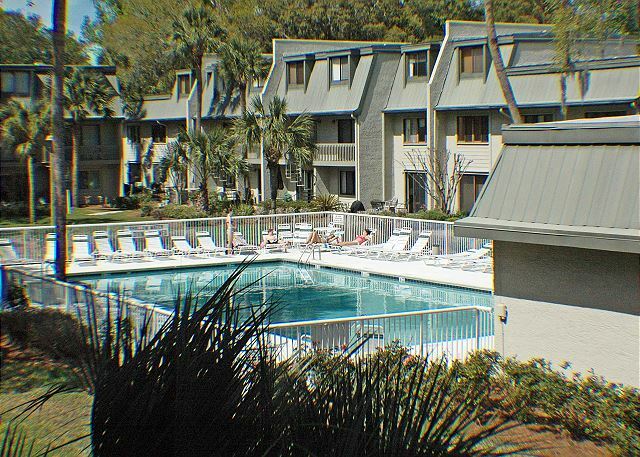 We'll stay at Surf Court and use Seashore Vacations every visit to HHI. CHARMING, COMFORTABLE HOME AWAY FROM HOME!! This condo is lovely! It is comfortable and clean. Well decorated. 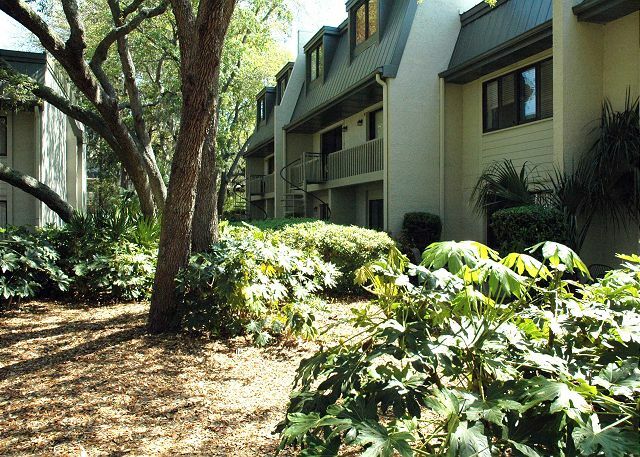 Very close to beach for Hilton Head, and near fun shops and restaurants! We thoroughly enjoyed it! Our first trip to HHI was great, in spite of the pouring rains each day!! Our accommodations were lovely and comfortable, with plenty of room ! We would gladly stay here again when we return! Place was great! A few minor upgrades would make a world of difference though. The coffee pot is broken (it actually was broke last April when I was there) and the comforters and curtains in the bedrooms could be updates. They are old and paper thin. Clean place and great furniture. My wife and I had a short stay but a fantastic few days at Surf Court 15. We'll definitely keep this villa on our list of places to rent when visiting the island. 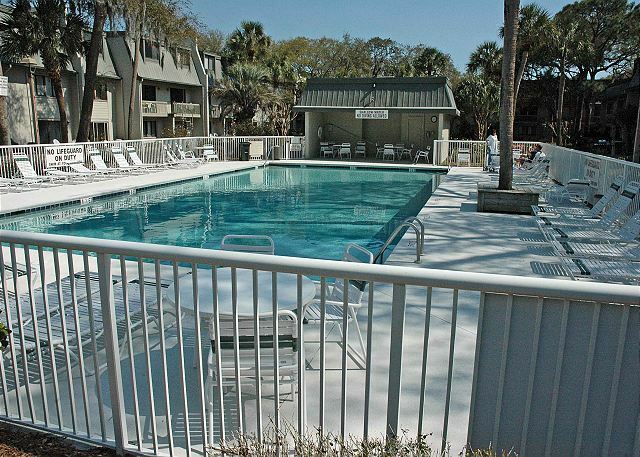 Surf Court 15 is a great choice for lodging while vacationing in Hilton Head. The location is perfect-a short walk across the street to the beautiful beach. Also, the popular Coligny Plaza with shops and eateries is a short 5 minute walk. The cute condo looks out on a courtyard where there is a pool for residents use. The condo was clean and had a washer and dryer off the kitchen (a requirement for me). Surf Court 15 is a good option for families and empty nesters as well. Despite unusually cooler weather the stay was fantastic, the location perfect, the villa spacious and very well equipped. Although we could not have a barbecue on the deck, totally understandable, it would have been nice to have a central BBQ on the grounds. Any problems encountered were dealt with in an expeditiously manner. Plan on returning next year to the same place. There are numerous restaurants close by, great bike trails and plenty to do. Great! loved the proximity to the beach and found many great restaurants. Sandbar, Fish, Carrabba's, O'Rilleys, Frankie Bones, Smokehouse, Marleys to just name a few. Great marina's to peruse and lunch at the Salty Dog cafe was awesome. Many areas to discover, the Coastal Discovery Mueum was great! 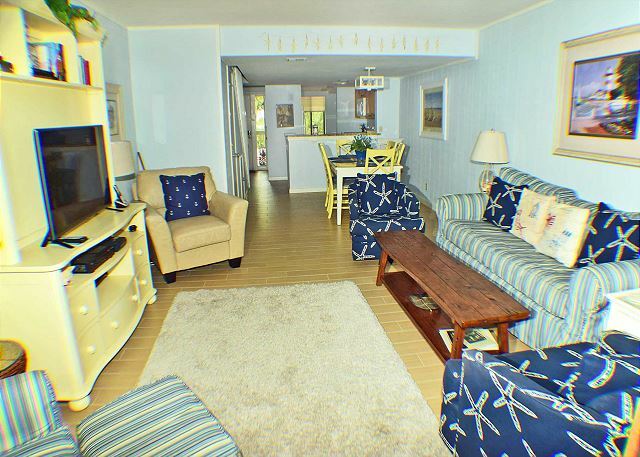 This property is located right across from a beach access walkway! It was a very short walk to the beach with kids in tow! The pool was great as well! We enjoyed our stay and will stay again! As always the location and property manager were excellent! One of the kitchen cabinet doors was hanging on by one hinge, we removed it completely. It should have been reported by previous renter or cleaning company. The floors needed sweeping and vacuuming immediately but otherwise was cleaned. I loved this unit and would absolutely stay here again! Surf Court 15 was a great place to stay on our first trip to Hilton Head. The unit was very clean and had everything we needed. We found it to be very close to everything we needed. The weather was great the week we were there. We highly recommend this unit! We have stayed here for a few years now, it is a great place. Close to everything, the beach, restaurants, shops, whatever you need. We love this end of the island. We will keep coming back. The place was perfect except for the towels. We booked last minute and were very pleasantly surprised. We loved the Villa. It was just as pictured. Clean and well appointed. Nicely decorated and plenty of room. The office management handling our booking gave clear instructions for our late arrival. Everything went very smoothly. The only thing we were just a bit disappointed about was the deck, it never gets the sun, at least in February. Would love to return to this Villa and exceptional area next winter. The condo was so welcoming!! It had all the items that we needed-washer and dryer were especially great. I was very neat and clean. A very short walk to the pool and a short easy walk to the beach. We had a question for the property manger and he fully answered our question and actually recommended to us what turned out to be our favorite restaurant-The Charbar. 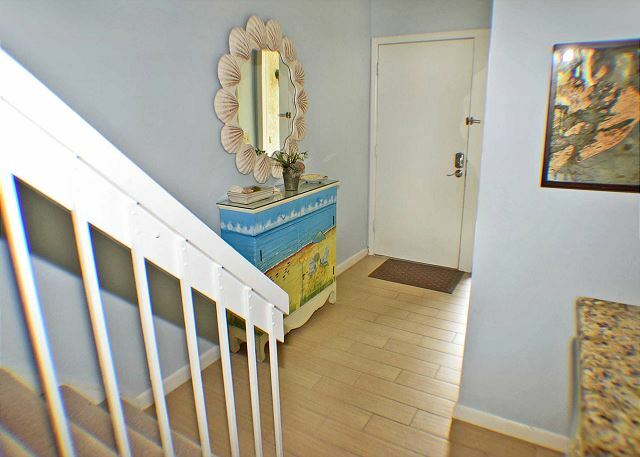 The location of this unit is great; just go down the stairs, cross a small parking lot and road, and then take the path between the beach side condos and you are at the beach. There is a wash off station after you get off the sand so you can avoid tracking too much sand back to the condo. 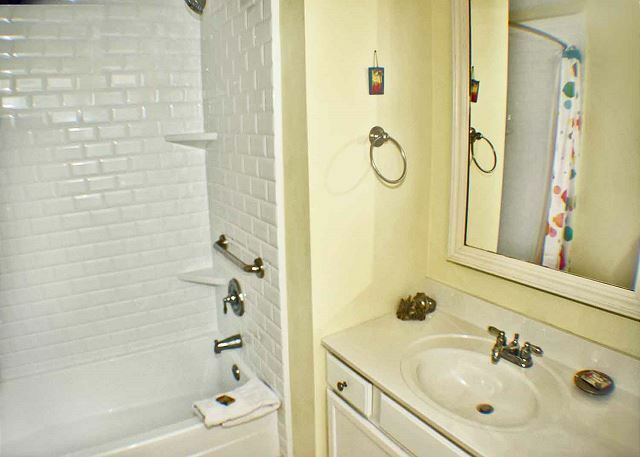 The condo is nicely refurbished - the ground floor is all tile that looks like wood, so it is easy to clean. The dishwasher was broken, but they replaced it on Friday with a brand new one that works great. The stove is a glass top, the oven works well, the microwave is great, granite countertop in the kitchen looks high end. The carpeting on the stairs is a little worn, and the bathtubs were a little stained, but overall it was nice and clean. The stairs up to the unit are pretty steep, but other than that, we would definitely recommend this unit and stay there again. We arrived after closing on Saturday, but they stayed open longer for late arrivals like us which made us feel very welcome. The door locks were key codes, so no need to worry about losing keys on the beach. Parking for our minivan was right in front of the condo in a reserved space. The pool is clean and convenient. They recommended a bike rental company for us, so we rented 4 bikes and they were locked up for us right in front of the condo when we arrived. We were able to bike along the bike paths to Coligny Plaza, mini golf, and many restaurants. Overall, a great place to stay. 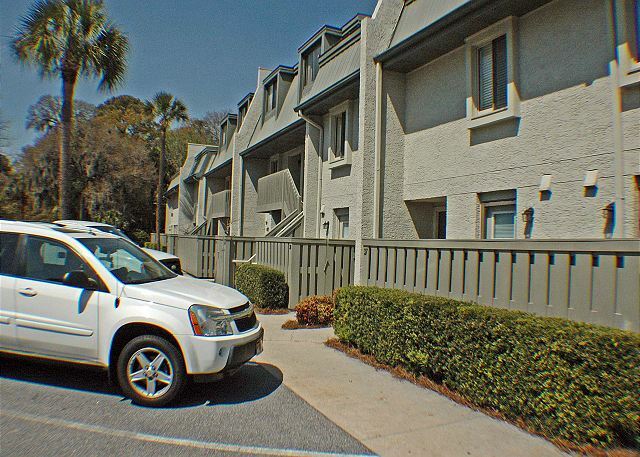 Excellent location,easy access to beach,shopping,grocery stores, churches,bike paths galore!Condo is stocked with everything you need, washer and dryer came in handy. Owner did a lovely job with beachy decor, looks better than photos.Our family thoroughly enjoyed our vacation and look forward to renting again. We were in town for a junior tennis tournament and staying here made the trip fantastic! 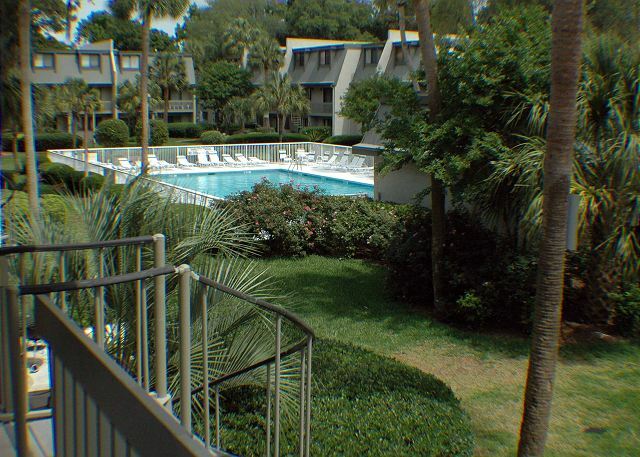 It is a great location... Close to the courts and the beach. The condo was perfect. Thanks for a great stay. Leonard and I have always enjoyed staying at Surf Court It is close to the beach, restaurants, trails, lovely old town hospitably. The property is always clean and well-maintained. Customer service is always at hand to serve you if there is a problem. Yes, we would recommend this to a friend or other family member. I just love this part of Hilton Head Island. It is my favorite and that is why we come back to it. Great unit,third time we have rented it! We had a wonderful stay at Surf Court 15. This was our second stay at this townhouse (earlier stay was in Spring of this year). 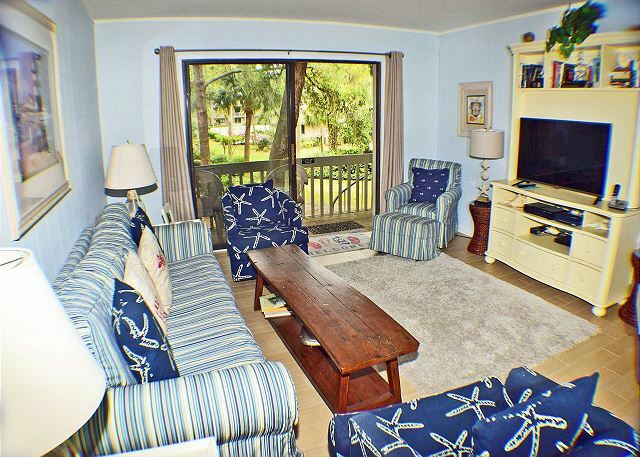 It is in a great location with a short walk to the beach or to the shops at Coligny. 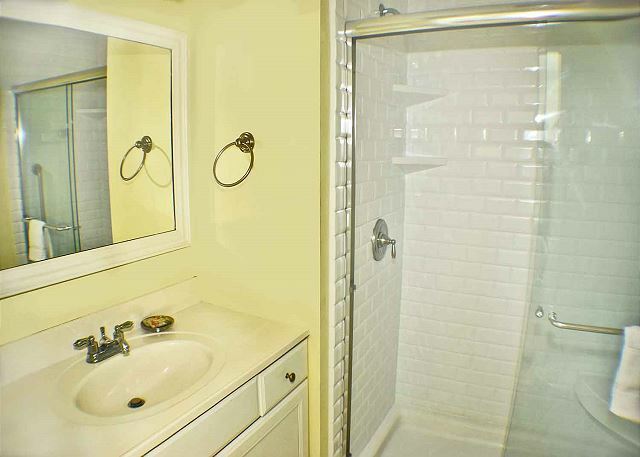 The unit was very clean and spacious. We look forward to staying here again in the future. Our stay was very nice - condo was very tastefully decorated and perfect for our family of four. Perfect location as the beach access was the closest you can get without actually being on the beach - within a five minute walk. Pool is very clean and a great size as well. Only wish they were able to have a grill on the deck. 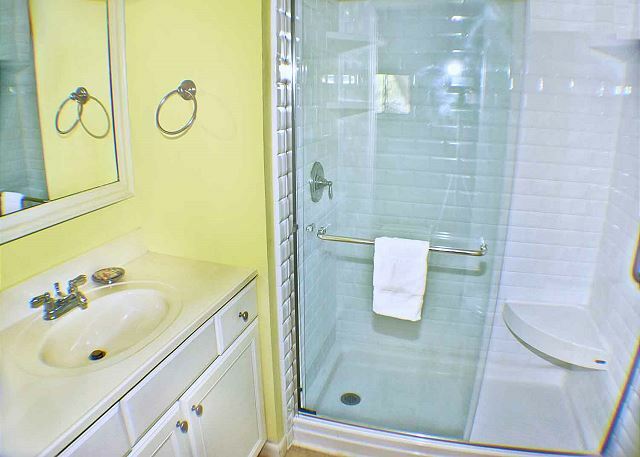 The property was very clean and conveniently located. 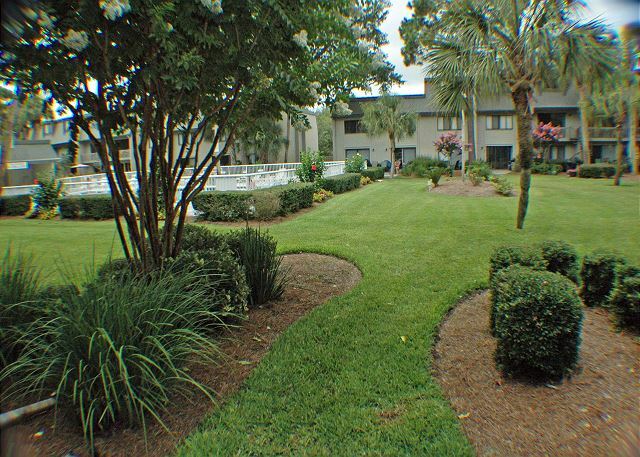 It is a short and easy walk to the beach as well as Coligny Circle which has almost anything want....restaurants, bars, ice cream shots, etc. It is in an ideal location. Reasonably priced and a great location. It is home away from home! We love Hilton Head Island. 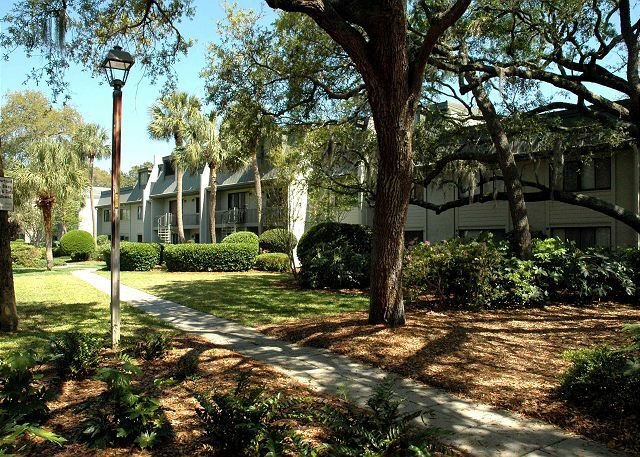 We have been here a few times and we love this area on Hilton Head Island. It is so close to everything that we need. We also love riding the trails and getting around the island. We have 61 miles of trails and more coming @ home; so this is a BIG plus for the island besides their beautiful beaches. We were some of the snow birds that got out of the bad weather for a month. Enjoyed our stay. We will be back. The property was great! The kitchen was recently upgraded with granite counter tops and new flooring was installed on the main floor. 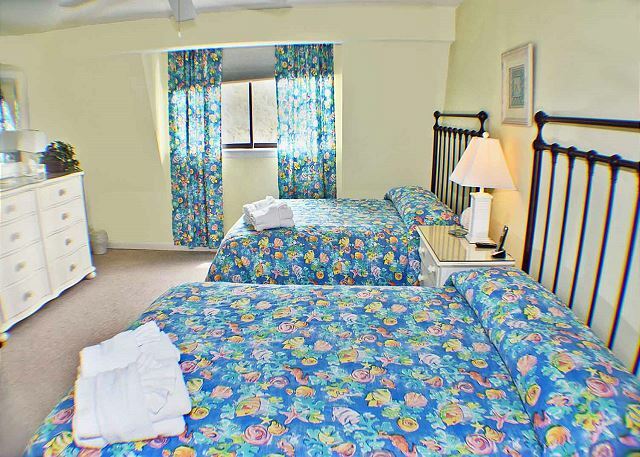 Every room was comfortable and clean. I would definitely stay here again. 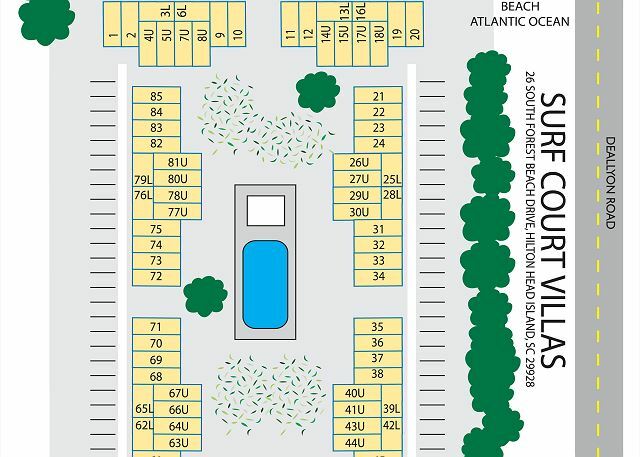 We had a fantastic time on HHI, and our trip was even better due to the wonderful accommodations of Surf Court 15. The condo has been updated since we last visited and it looks great. We will be coming back next year! 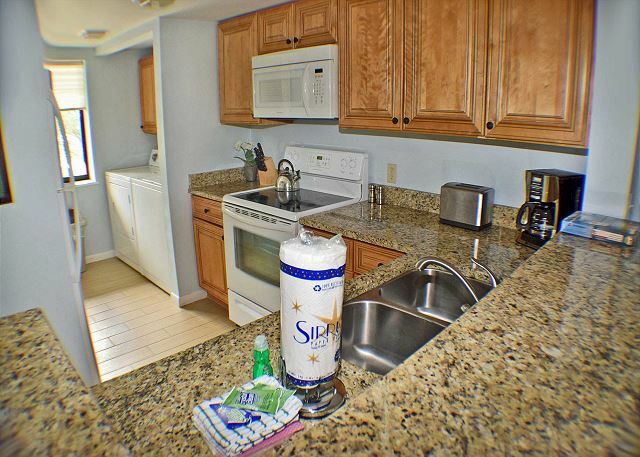 The property at Surf Court 15 was clean, in very good condition, and had all the amenities our family needed. It was also very conveniently located. It was a close walk to the beach (less than 5 minutes) and the shops at Coligny were an easy walk, also. The property management company was great. They were very responsive to questions and answered them quickly. They also were very helpful in returning a couple of jackets which we had left behind. Our stay was wonderful! Every expectation was met, walk to shopping, beach, etc. Great location, clean and everything was found as advertised. Good value! We had a very nice week. Everything was close and convenient to get to. Everyone one was friendly and helpful on the island. We have stayed at Surf Court many times and like the location. Someone needs to check the dryer vent. It seems to be stopping up and clothes are not drying. 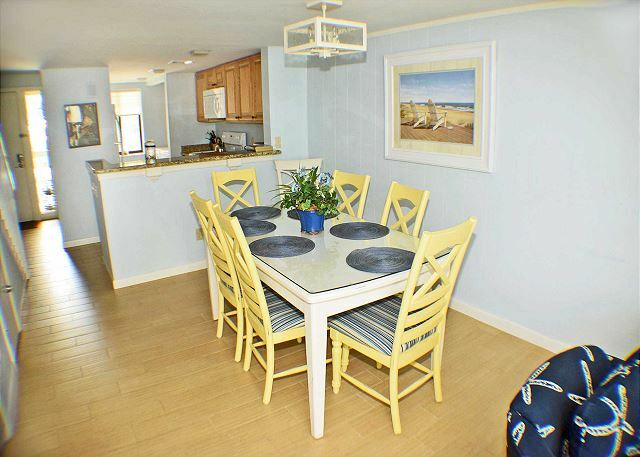 We have used Surf Court many times for our vacation rentals. 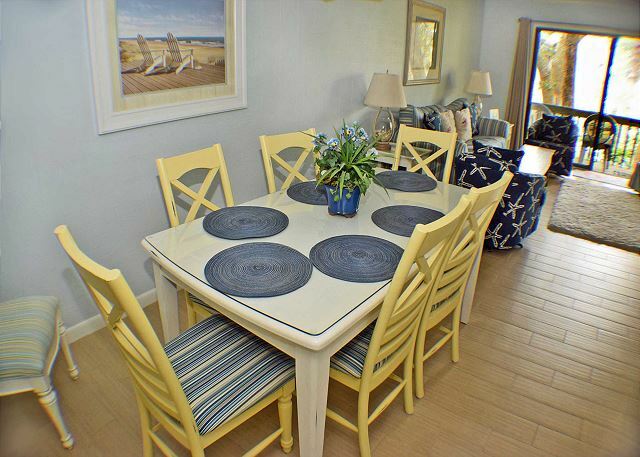 We love the location and proximity to the beach, restaurants and shopping. Units are clean and comfortable for a reasonable price. I would rent this unit again, very comfortable and clean. Seashore Vacations has always provided professional, friendly service. We had another great week on HHI this summer. 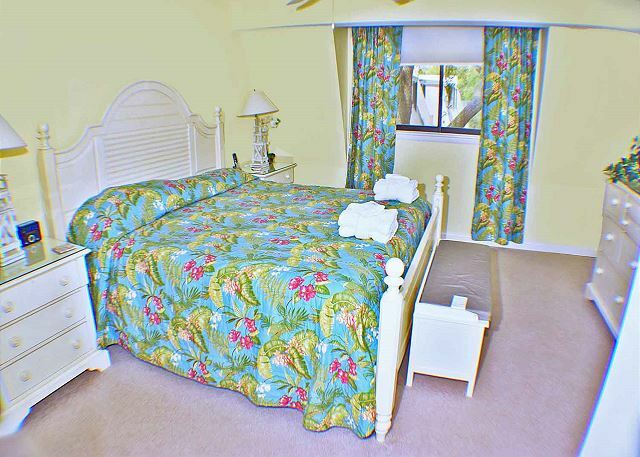 Surf court 15 has everything needed to make our stay relaxing, comfortable & enjoyable. The owners recently upgraded the furniture, and it looks great. I love being only moments away from the beach. Seashore Vacations is fantastic and accommodating as well. 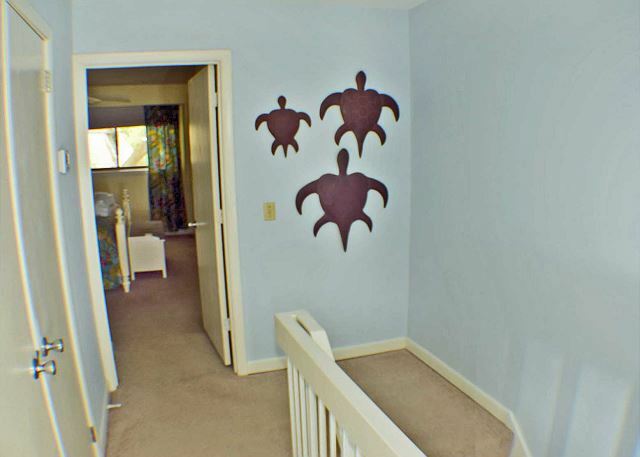 We were able to get into the condo early, which is very helpful with little ones. Thanks again & we'll be back in June! 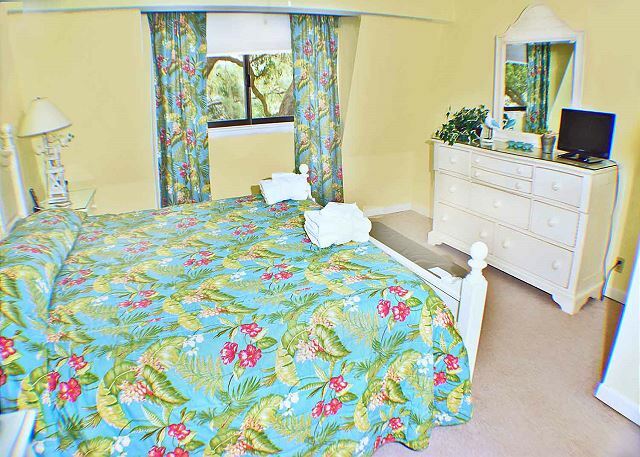 The property was exactly what we expected - clean, comfortable, close to the beach. We will definitely be returning! Convenient location to everything,including the beach.Very quiet at noise from other units.Beds were very comfortable as were chairs and sofas.We all had a great time! This villa is so nice.Tastefully decorated and comfortable.Has everything one would need including washer and dryer which I don't think I noticed in property description. Would use again without question.The only dislike for me was the stairs and steps were a bit steep and required extra caution.This unit is a solid 100yrds.from the beach with a nice walkway and boardwalk to the dune. My sister-in-law and I brought the kids to Hilton Head to have an enjoyable beach vacation. Surf Court 15 was perfect for our goal. The condo has everything needed for your stay. We will be back this summer! We had a wonderful time and LOVED the condo! Beautiful condo, beautiful beach, beautiful weather! Beautiful condo, beautiful beach, beautiful weather! Best 7 most Beautiful Island Hilton Head, SC. 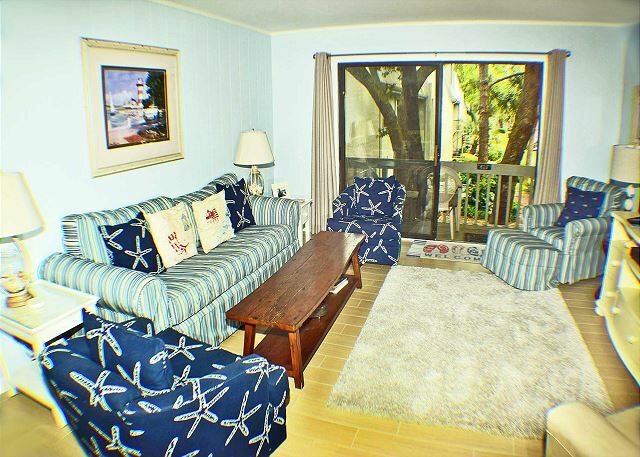 Surf Court was very convenient to the beach and Unit #15 was updated and well maintained. Walking distance to Coligney Plaza and a great seafood restaurant--Steamer Seafood. Steps up and down the second floor unit are a little narrow carrying luggage, and the thermostat inside the unit is on the second floor so it's hard to maintain consistent temperature between the two floors, but overall it's a great unit at an affordable price.